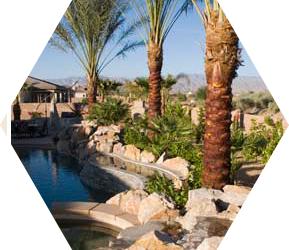 Maintenance | Landscape Trimming, Mowing and Irrigation | Plant Replacement | La Hacienda Nursery & Landscape Inc.
La Hacienda Nursery & Landscape, Inc. provides exceptional private and commercial maintenance for our customers in Palm Springs and throughout the Coachella Valley, CA area. 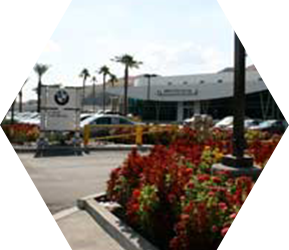 We proudly maintain some of the largest and finest properties in and around Indio. We provide superior customer service while reliably maintaining the overall health and appearance of your landscape. There are no jobs too big for our crews to handle. Our professionals understand the requirements of low desert plants, as well as trimming, maintaining irrigation, seasonal flowers, lighting, and hardscapes. We offer regularly scheduled maintenance, as well as service calls. Watering your lawn and landscape is the most important aspect of preserving its health and beauty. We offer thorough irrigation system inspections at each of our properties upon request. All of our maintenance services can be modified to help assist with any special requests that you have. If you have expanded or altered your existing landscape, we can help ensure that your irrigation system meets all of the hydration requirements of your plants. When broken or malfunctioning equipment is discovered, we provide our customers with prompt assistance to help minimize stress to your vegetation. When you select La Hacienda Nursery & Landscape, Inc. to care for your maintenance needs, you gain the peace of mind of knowing that your property will be taken care of. No matter what is going on in your life, you will always come home to enjoy a crisp, well-manicured property. We maintain some of the finest estates, commercial properties, and custom homes in the region, including The Madison Club, Traditions, Big Horn, Ironwood, and Thunder Bird. Contact us to schedule a meeting to develop the best maintenance program to meet your residential or commercial landscaping needs. Call: (760) 342-3427.